Tessanne followed with “Underneath It All,” and she was able to show a little of her culture and her fun side with this selection. Last week, Christina had commented how much she liked Tessanne’s accent coming through in the music, and Tessanne delivered that this week. Her accent was more prominent in the performance, and it worked really well. She seemed more relaxed and laid back with this song, which allowed her to focus more on just singing and having fun. She gave us a little bit of a Reggae breakdown in the bridge, and her tiny ‘squeaks’ added the perfect touch to an amazing performance. It was the best song choice for her, and Tessanne showed us that power does not always have to equal loud. I would say this was the best performance she's given so far. CeeLo’s only remaining artist, Caroline, went with a more indie/alternative vibe and sang “Dog Days Are Over.” Over the past few weeks, she has continued to grow and has come more and more out of her shell, and this song continued in pushing her. I was happy that Graphics finally got rid of the silly pictures usually backing her on stage and went with a more sophisticated feel. Standing in front a large harp, Caroline did start off a bit weak. By the second verse, however, she checked her nerves and her strength and personality began to show. As soon as she hit the chorus, a brand new Caroline emerged. Over the weeks, I’ve seen glimpses, but this week the new and powerful vocalist was here. The rest of the song was strong, and Caroline hit her biggest note so far on the show... and she hit it well. Good job. Cole added some country to last night with “I Still Believe In You.” He and Blake decided to strip it down and go acoustic, which was a brilliant decision. Sitting on stage with his guitar and just some strings backing him, Cole gave the most intimate performance yet. He seemed to sing the emotion first and the lyrics second. It was just a quiet and perfect rendition that put the spotlight on his great vocals... Vince Gill would definitely approve. Team Christina was finally represented with Matthew taking on “It’s Time.” Christina focused a bit more on his choreography this week, and Matthew put on an amazing show. His vocal were a little weaker than past performances, but his stage presence was great. While not one of his strongest vocally, it was his strongest stylistically. Every now and then, he would move a certain way or sing a certain note, and you could hear the girls screaming from the audience. Matthew didn’t really hit any big notes, but he certainly put on a big show. Will came next with “At Last.” Backed by a mini orchestra, Will put on what was probably his best performance so far. He came on without his glasses and just looked so different. He was much more animated this week than he was last week. There really isn’t much to say about Will this week, other than it was an amazing and practically flawless performance that had most just in awe. Playing to his many female fans, Ray took the stage and sang “Gimme Some Lovin’.” Ray involved the audience on an entirely new level for him. It was so upbeat and fun, and he basically became the character of the song. He worked the crowd, both live and at home. I was very impressed this week with Ray. Vocally, he was very solid and took his performing and singing to a new level. Closing out the show was Jacquie with her rendition of “Who’s Lovin’ You?” Christina wanted to bring out another part of Jacquie with this song, and that she did. During rehearsal, Christina focused on helping Jacquie let go a little more and give in to ‘Angry Jacquie.’ She took the stage and began the song on a darkened stage with a side lit face, which created a beautiful silhouette effect to go with her A cappella first verse. 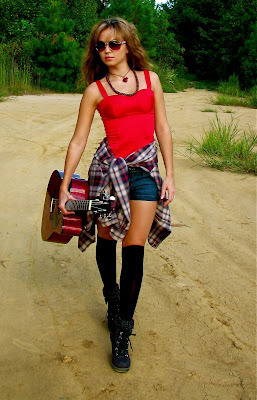 Her vocals are breathtaking, and the second verse showed us some of the ‘Angry Jacquie’ she had been working on. The emotion and conviction Jacquie emotes really does go way beyond her years and experience. It’s indescribable what she does with her voice. Adam is amazed at how she is able to do that, especially since she hasn’t “even been alive that long.” Blake is blown away by her power, and CeeLo is convinced that she “swallowed an old lady.” However she does it... Jacquie is the one to watch to go all the way. Caroline showed the most growth and improvement over the past few weeks, and her performance last night introduced us to her amazing potential. I would love to see her sing next week, but I think her ‘emergence’ may have come just a week or so too late to leave her out of the bottom three. James gave a solid vocal performance last night, but I don’t think the audience connected enough with stage performance, and that will land him in the bottom three for the first time. So, now it comes down to Tessanne and Matthew. Both have consistently given winning performances over the weeks, but I think Tessanne edged out over Matthew last night. Both were solid, but Matthew was just a bit weaker and didn’t connect as strongly with the audience as Tessanne did. Both have a very strong fan base established already, so really, it could be either one. To say the least, I’m really not sure about the bottom three this week. Based on performances given and the sense of connection each had last night, I’m going to have to go with Caroline, James, and Matthew. As for the Instant Save, right now, that's impossible to predict accurately. 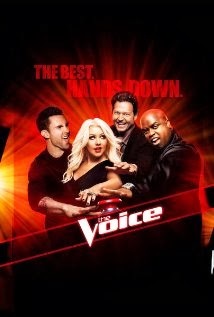 It will be used to save either Caroline or Matthew, which ends James’ journey on The Voice. But to guess the Instant Save... I can’t. There are many factors that will determine the outcome, so it will all depend on what plays out tonight during those intense five minutes of tweeting. All I will say is that I hope Caroline is saved. I really want to see what she has in store for us next week, and I think she deserves the chance to show us.